Expand your horizons to new ideas and people. I post this article randomly on days, reason being because it has helped me gain new viewer’s and followers. If it has helped me, it can and will help you as well. Give it a shot. I recently got 3 emails thanking me for this article. They expressed how their blog stats and followers increased. This gives us an opportunity to check out other blogs and see what others are doing. Is the Glass Half Empty or Half Full? The New Perspective You Need to Hear! Once upon a time this cliché was a profound question. If a glass is filled exactly to the middle, is it half empty or is it half full? To us who've heard the question we know the answer. It has to be half full because we need positive thinking, right? Wrong! And before everyone starts … Continue reading Is the Glass Half Empty or Half Full? The New Perspective You Need to Hear! Truth>Positivity, The Equation That Will Enrich your Life! Imagine you were given two tickets to a yacht party from a friend. You were ecstatic, this was your first time on a yacht. At the party you dined on the finest food, and enjoyed your favorite drinks. You danced with your crush, who you gave the other ticket to. You were having so much fun you didn't … Continue reading Truth>Positivity, The Equation That Will Enrich your Life! Are you a Winner or are you a Loser? In sports, there are clear rules and regulations to determine who wins and who loses. Life isn't that simple. As human beings, we might all be able playing the same game, but we're definitely not playing by the same rules. Success according to Dictionary.com is: … Continue reading Are you Successful? How do you know? James Warnock is a young man passionate about helping others breakthrough to their full potential. 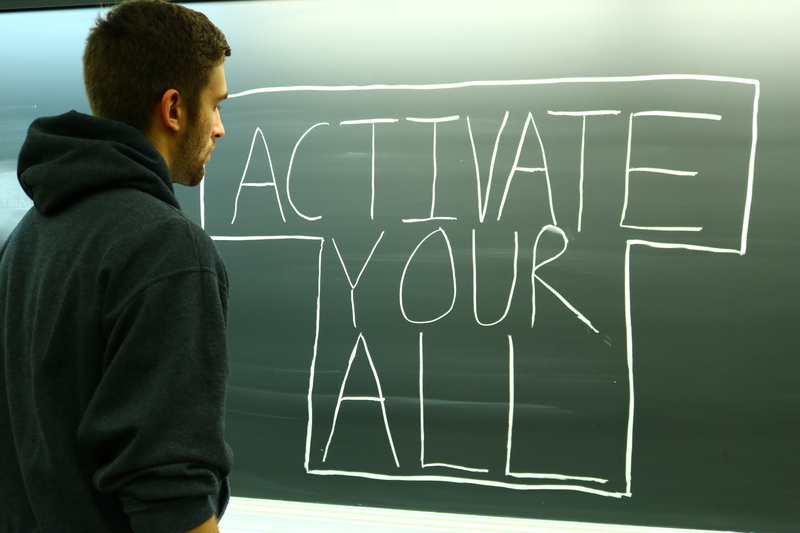 Activate Your All is built on producing content that empowers you to your personal success. Connect with James to discuss strategies, share stories, or if you're struggling towards success and need assistance. Activate Your All is here to serve you.